We're DESEA Peru, and this is our story. 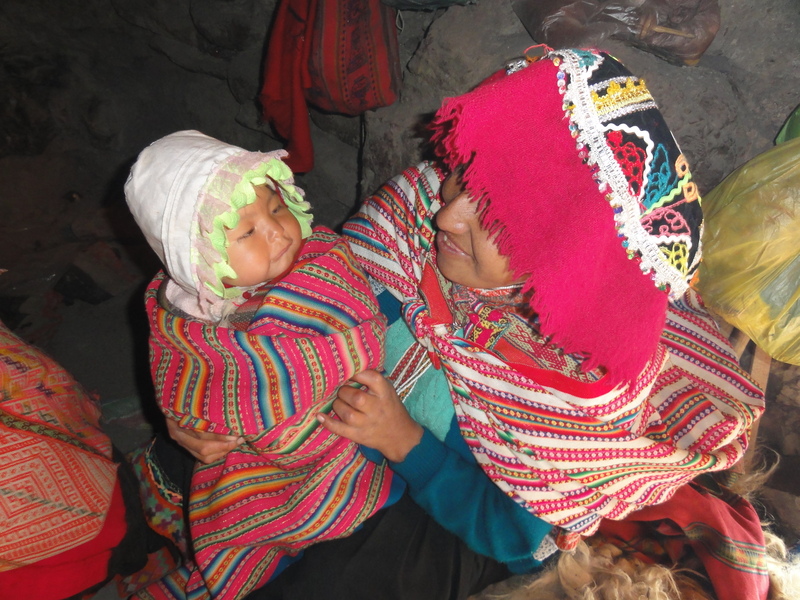 We're a non-profit organization based in the city of Lamay, serving isolated communities in Peru's Sacred Valley. Learn about all of the work the DESEA Peru team is doing by watching our promo video here. 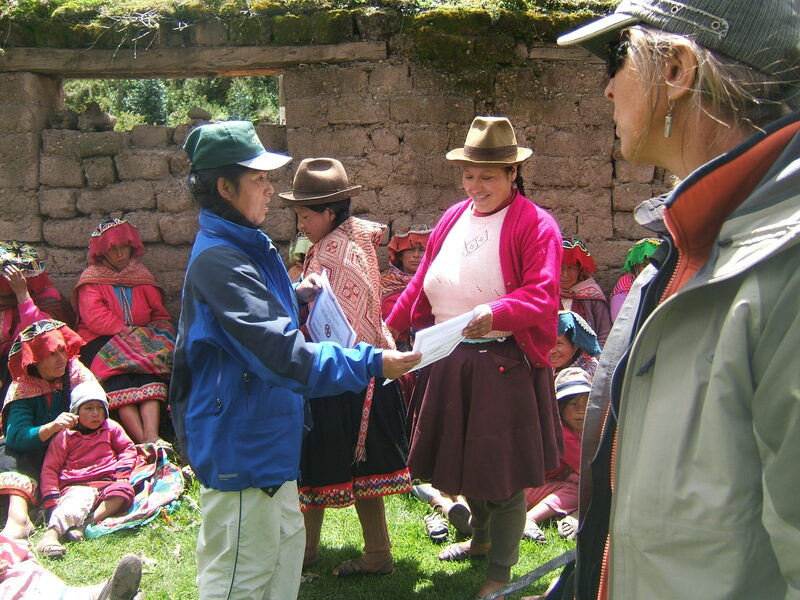 Sandy Hart and Sandra McGirr turned a year-long visit in 2008 to volunteer in water and health programs in the Sacred Valley, into what is now DESEA Peru and a long-term commitment to assist with the health of remote Andean communities. Combining their skills in hydrology, healthcare, and project development Sandy and Sandra established DESEA Peru with Edy Gonzales Torres (Peru), Eroca Hunter (Canada), and Carlos Martinez and Ester Lopez (Spain). 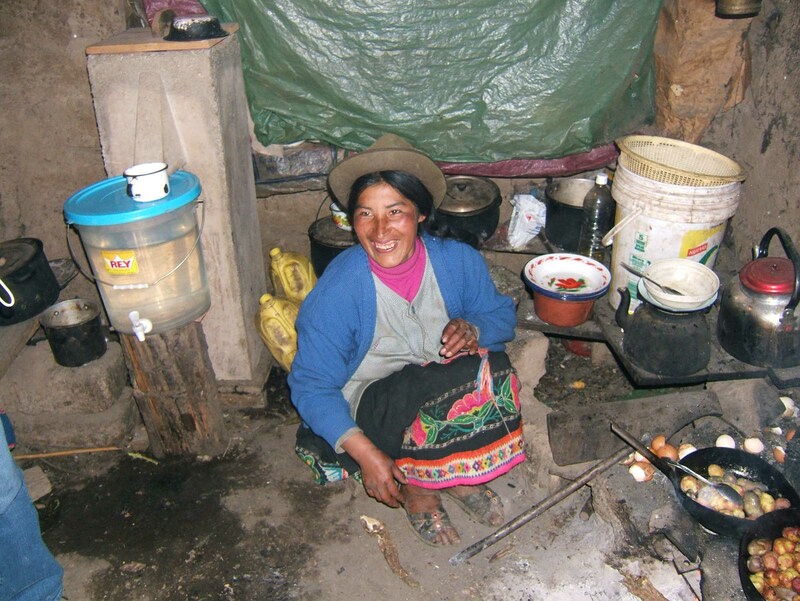 In 2007, Eroca had organized the delivery of a biosand filter course by the Centre for Affordable Water and Sanitation Technology (CAWST) in the Sacred Valley where she met course participant Edy Gonzales. Following this course, Edy began constructing and installing water filters in a nearby community with the help of the community’s leader Gregorio Mendoza Flores, who had also participated in the CAWST course. During the first year of operation, Sandy, Edy, and Gregorio’s focus was on the construction and installation of CAWST-style concrete biosand filters in homes and schools. At the same time, Sandra was offering bi-weekly health clinics in local communities while volunteering with Kausay Wasi Clinic in nearby Qoya. Although the water filters were providing potable water and the health clinics were providing care for many residents, the under-five child mortality rate remained high. In the first year, three under-five children died from preventable illnesses in the three project communities. It was apparent that, in order to improve health outcomes, there was a need for a trained individual to be present in each community in order to monitor health conditions and to provide basic health services. 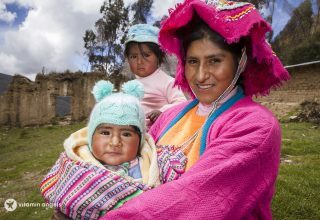 In 2009, DESEA Peru expanded its model to include a training program for local women to become, what we would come to call “qhalis” (community health workers). Although this is a well-established approach, the challenge we faced was that almost all local women only spoke Quechua and were unable to read or write. With almost all community health worker programs worldwide requiring some literacy, there were few resources available for illiterate learners. As a solution, Sandra created a series of training modules to enable a trainer to teach local women as health workers, irrespective of their literacy. The training is based on oral and visual communication, with theatre, art, and hands-on practice in the company of nurse trainers. Record-keeping methods rely on pictographic charts and vital signs are monitored using simple digital equipment. In 2010, after two years transporting unwieldy, 95-kg concrete filters to isolated Andean homes above 4,000 m in elevation, Sandy developed a lighter-weight version of the biosand filter using 315-mm diameter PVC pipe. This filter body weighed only 10 kg, making it much easier to transport to distant mountain communities. In 2014, Judy Chávez Ipenza, a Peruvian lawyer, joined our team and assumed the role of administrator. In addition to her legal expertise, Judy has years of teaching and administrative experience and is currently working towards a Master’s degree in Social Program Management with an interest in women’s and indigenous rights. Her passion for the project and the people, along with the fresh ideas that she brought to DESEA, made her a natural candidate for the Project Coordinator role. In 2016, Judy’s husband and engineer, David Villagarcia Ramirez joined our team as well and assumed the role of Water Project Coordinator. David’s principal degree is in electrical engineering, and since joining DESEA, he’s received additional training in water management and is currently working towards an industrial engineering degree. Judy and David took on the principal management of DESEA Peru in 2017, while Sandra stayed on as President and Community Health Coordinator, and Sandy as a Director. Our constitution is made up of our mission, our vision, and our guiding values. Together, they make us who we are and help govern our everyday actions and behaviors, making sure we stay focused on our goal of supporting isolated indigenous communities in the Peruvian Andes. 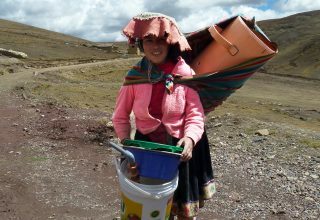 Partnering with vulnerable Andean communities to achieve well-being through water, health, education and economic opportunities. To be a model for the development of healthy, sustainable communities using a participatory approach. Valuing and acceptance of individuals and cultures. Maintaining honest and ethical practices in all aspects of our work. Looking for new solutions to long-standing problems. Working together democratically for a common goal. Serving others for a more humane society in which all human beings have the right to give meaning and direction to their own lives. Respecting and honoring mother earth in the work we do for future generations. We’re committed to ongoing education and professional training, ensuring that the communities in which we are working receive the highest level of service. We work alongside communities for their right to water, health, education, and economic opportunities. An ability to be flexible in all aspects of our work. Practicing fairness and impartiality in all our interactions. DESEA Peru is registered as a non-profit organization in Cusco, Peru with founding directors Sandy Hart, Edy Gonzales, Eroca Hunter, Carlos Martinez and Ester Lopez. 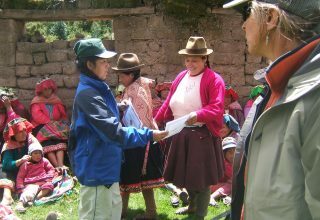 Initial meetings take place in the community of Totora (Accha Alta). Community members are keen to start the biosand water filter project. Then-Mayor Gregorio Mendoza begins working with Director Edy Gonzales to construct biosand water filters in Calca. Installations of CAWST concrete biosand water filters begin in the three communities of Accha Alta directed by Sandy Hart. Weekly clinics are offered by RN Sandra McGirr in conjunction with a technical nurse from Clínica Kausay Wasi, in informal, outdoor clinics and in house-to-house visits. 25 concrete biosand water filters are installed in the communities of Accha Alta. Technical nurse Vilma Florez Huayllapuma joins the DESEA Peru team. Sandra McGirr and Vilma Florez begin extensive nursing services in all project areas of Accha Alta, including a community needs assessment. 75 concrete biosand water filters are installed in the communities of Accha Alta with the help of a filter educator who joins the DESEA team to work in the areas of filter installations, filter monitoring and maintenance and hygiene and sanitation education. Six qhalis receive training in a wide range of health areas, and make 1651 homevisits to check water filters, help pregnant and lactating women, and manage medical first aid emergencies, while nurses attend to an additional 966 patients. 50 concrete biosand water filters are installed in the communities of Accha Alta. 2 maternal mortalities prevented by qhali interventions. PVC filter design and trials begin in DESEA workshop to change design from concrete 95 kilo filter to the 10 kilo PVC filter - 14 PVC filters are installed. Partnership with Vitamin Angels begins bringing multivitamins to prenatal and lactating women and children 6-59 months. Partnership with The Mary A. Tidlund Charitable Foundation begins offering a medical campaign with licensed Canadian doctors in each of DESEA Peru's project communities, providing health services to more than 200 people. 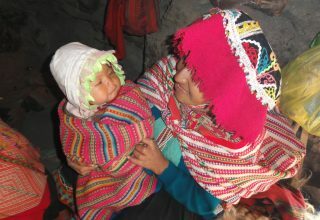 Project expansion begins in the communities of Huarqui and six new qhalis are selected to begin their training. 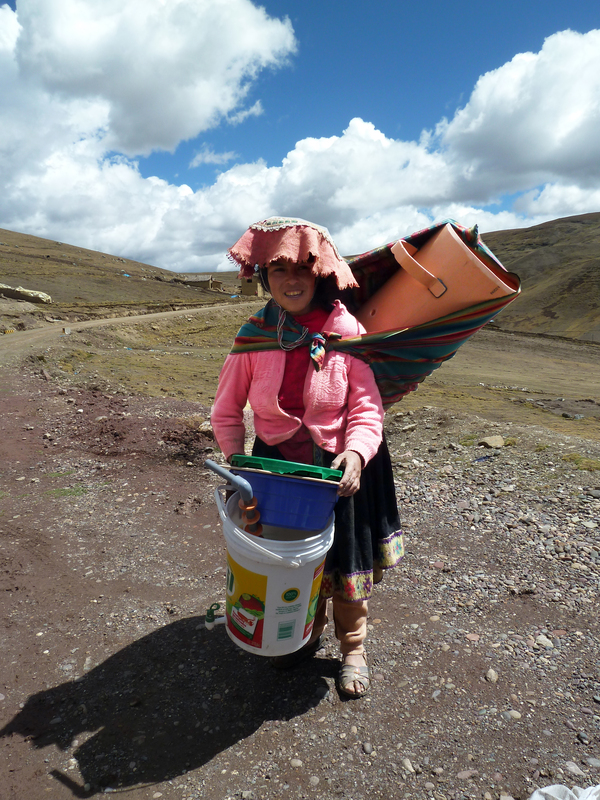 121 PVC biosand water filters are installed in the communities of Huarqui. Qhalis make 2912 homevisits to check water filters, help pregnant and lactating women, and manage medical first aid emergencies, while DESEA nurses attend to 2930 patients in project communities.